Why you should choose a professional photographer? Because it is worth every penny to have timeless portraits to cherish forever! I have the knowledge and artistic ability to capture your children that will last a lifetime. Dont gamble with your fleeting moments hire a photographer that will meet your expectations and make you smile everytime you look at your portraits. Anyone can push the shutter and put images on a cd, but it takes time ,money and talent to make ART! I want to do more than hand over a cd of images to my clients to print at the big box stores. I want for my clients to gush over the beautiful 16x20 hung in thier home! Have a beautiful album to place on the coffee table. I want them to be able to be treated like a valued client that i work for and deliever prints to you so you can sit back and enjoy! I cant wait to work for YOU! CLick on the link to read more about CUSTOM Photography. $100 includes 4 subjects, $10 each additional subject. Due the day you book your session and is not applied toward the purchase of prints. Cash/check or paypal. Session fee or deposit must be paid day of booking. A session date is not considered reserved until the session fee has a deposit. Session fees are non-refundable. We will reschedule if you have to cancel or due to weather. Your session fee includes your pre-session consultation, either here at the studio or on the phone.Your ordering session on the phone, here in the studio or at your home. You may also order online a la carte. 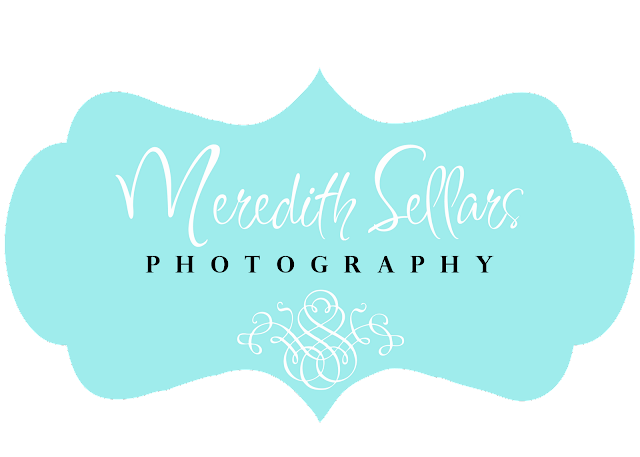 You can choose from Studio and outside locations, Photographer's time,knowledge, talent, and travel to a location of your choice within 30 miles of Montgomery, Alabama. Please contact me for travel rates for areas outside this limit. Its a digital world but i just love to look at prints in an album to touch and feel them and to be able to take an album to share with friends and family. I want you to get the most from your beautiful session by making artwork for your home to hang on the wall. SO i try to offer a little of both! This includes 2-3 hours of session in the studio because it takes a long time to do newborns and i do not want to rush you or the baby. It also includes 50 custom designed birth announcements and a complimentary maternity session or 6 month session. $300 for newborn and immediate family only. photographer and the editing of your proofs. This session typically lasts from 60-90 minutes. proofs will be displayed in an online gallery for 10 days. If additional time is needed after 10 days,gallery may be re-loaded for a $75 fee. you may order online a-La-Carte with a minimum order of $200. I have packages to choose from to get the most from your session. You will also receive a few watermark web images ONLY to use for your social networking websites,and blogs. Can not be used for printing. Session fee must be paid day of booking. hand-edited proofs. Includes immediate family only and is not suitable for newborns. A newborn session is the same as a Session, except it lasts a little longer to allow plenty of time for capturing the best images of your new baby. This session takes place in your home or my studio within the first two weeks of life (the first 10 days is best). We take breaks for feeding and diaper changes. typically lasts 2-3 hours and includes immediate family only. After you have completed your session i will post your gallery in about 10-14 days . An online gallery of custom edited images available for viewing within 7-14 days of your session. We will then schedule your phone or in person ordering session after you have had time to look over your gallery. If you are unable to do an ordering session you may order online. Basic retouching such as skin softening, eye brightening, etc. is included. More in depth re-touch requests will be an additional fee per proof and will be quoted at the time of the request. You may bring 2-3 change of clothes. Sometimes changing clothes too many times will make kids FUSSY :) For any extra clothing changes it will be an extra $10. Sessions last 1hour to 1 1/2 hours. Everytime you refer a client and they book a session you will receive a $50 print credit towards your next session. Prints are significantly Discounted in Collections. The more you buy the more you save. Portraits prices start at $15 (with purchase of a Collection) / $25 (a la Carte) for a 5x7 Portrait, 8x10 Portrait. Wall portrait prices start at $50. All prints are professionally developed and lustre coated for protection. Portraits sized 11x14 and larger are mounted on archival-quality sintra art board. Please specify if you prefer unmounted prints for any or all of your order. Unmounted prints are recommended if you plan to mat and frame your print; mounted is recommended if you plan to frame without a mat. We offer full-service custom framing for your convenience. We can help you select the perfect mats and frame treatment to showcase your prints and complement your decor. Starting at $60. I also am an ORGANIC BLOOM dealer and can help you order a beautiful handmade frame. are printed on high-grade artists canvas, stretcher-mounted, and ready for framing. These masterful portraits are truly an heirloom and an artful statement for your home. Prices start at $95 (with purchase of a Collection) or $110 (a la carte) for a 16x20 Fine Art Canvas. I can come to your home and help design a wall for you. Just ask me Im always here to help get the most from your images. Custom greeting cards incorporating one or several images from your session as well as other images and text can be designed at a fee of $65 for 25 5x7 cards, including design fee, and $30 for each additional set of 25 cards. envelopes are included in this price. 12 month,18th month ,24 month packages available. 1. Call in reinforcements: the 2Ps. Take advantage of the fact MANY people out there have already done this work FOR you! Turn to Pinterest andPolyvore! In Pinterest you can use search terms like “what to wear” or “senior photo inspiration” and come up with great ideas of what other people have put together! Polyvore allows you to “build your custom look” by using generic search terms “navy cardigan” or “orange skinny jeans” and showing you a plethora of options to pick and pin from! I call this matchy-matchy and, and a little “2001″. Maybe style gurus will bring it back again in 2021, since fashion usually goes full-circle every 20 years. But until then, matchy-matchy is a no-no. Coordinating however, is a yes-yes! So how do you coordinate without matching? Start by choosing a color group or category. Adobe Kuler is a GREAT resource I use for working with clients to give them some color inspiration. Examples color groups would be: pastels, deep colors, primary colors, earth tones, etc. 3. Avoid loud patterns and graphics. I’m not an anti-patternite. I just prefer clients not choose clothing that draws attention away from their face. After all, the whole reason you’re spending the money on portraits is so that your Facebook peeps can adore your pretty mug, right? I do love using patterns when they are used in the right way! A trendy chevron pattern on a headband, or a mod clover pattern on a senior girl’s skirt. A giant FUBU logo across the chest of their clothing? Thanks, but NO thanks. There’s a fine line between adding a splash of color to your outfit and drawing attention to it. For example, if a woman chooses a long, sleek, black sundress – then a wide, red belt is great. A diamond encrusted Buddha-face belt, not so much! For up-close face shots, I like funky, big earrings that add a lot of texture and really add dimension the bokeh of the photo for a tight face shot! Hats? It’s hard to make a blanket statement about hats. I’ve never once felt like a ball cap enhanced a portrait but, then again, I’ve never done a team picture for the Yankees. I have at times thought that certain portraits’ styles were enhanced by a large-brim hat or fedora because these hats give us insight into the person and their style, rather than giving the impression the wearer simply forgot to comb their hair. 5. Dress for your body, not what the mannequin was wearing! Be comfortable, and when I say “comfortable” I am most definitely not referring to sweat pants! I mean don’t wear something that you will constantly be adjusting (such as a shirt that shows bra straps if not perfectly placed) or doesn’t fit well (like the pair of pants that almost fits perfectly, sans the fact they have to be adjusted after each step to avoid a wedgie). For better or worse, portrait time is the time to break out the Spanx and iron that shirt! Whatever it might be that you want to “enhance” or smooth out, definitely try to do that with your clothing and your posture. Don’t rely on Photoshop to do it for you. Ok, I just really like that song and wanted to use that as a title. Feel free to call me and ask my opinion OR even better, lay your family’s outfits out on your bed and take a photo and text it to me and see what I think! I’m always willing to offer up some advice based on my experience and my knowledge of what kinds of clothing are better for certain poses! Do pick clothes that you are comfortable in. Do try on ALL the clothes before coming to a photo shoot. Nothing like finding out something doesn’t fit at the shoot. Do remember that you want contrast. Do have a bright light on when picking out clothes for the photo shoot. Don’t worry about bringing too many clothes, as long as you bring a variety. Don’t worry if you don’t like something, you can always go onto the next wardrobe. Don’t forget to put a fresh coat on your nails – chips will show in the photos! Don’t bring clothes that show stains or wrinkle easily.